Staying in Moss cottage gives its guests an authentic farm life experience. It is situated close to the farm yard, home to bullocks and the lambing shed, having been converted from the original cows‘ house and grain store. The cosy cottage has original wooden ceiling beams and slanted rooftops with large skylights for a light and airy feel. Moss Cottage is just a short distance from the farm’s facilities including the play areas, indoor swimming pool with sauna and whirlpool, Pets‘ Corner and the outdoor tennis courts. 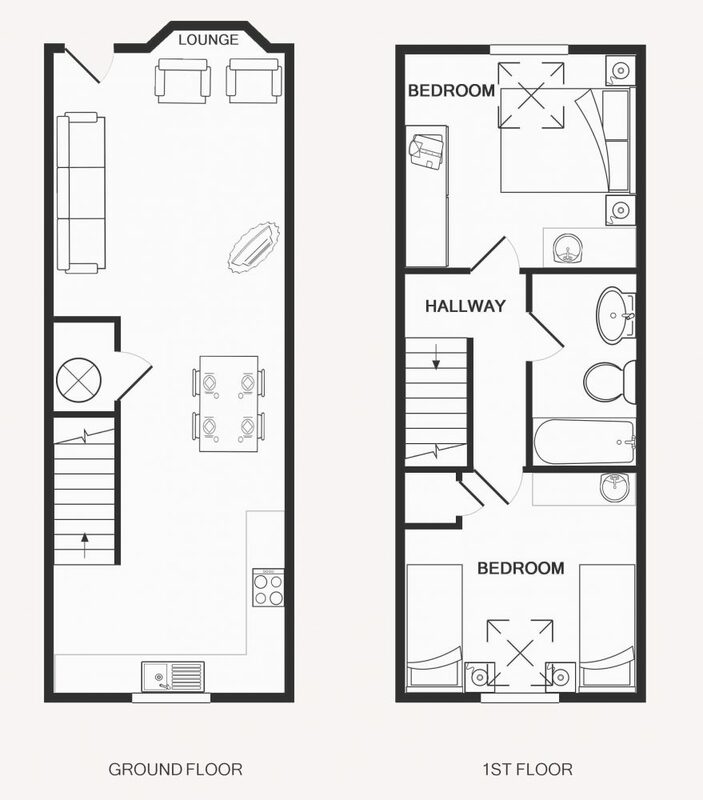 There are two bedrooms, one twin bedroom and one double bedroom. The car park is also just a short walk away.